In October of 2014, Director Stacey Horton was contacted by a third party in regards to possible paranormal activity in the private residence of our private client in Niagara County, New York (address withheld due to confidentiality). Seeing apparitions along with pictures of black masses within the house. Being physically touched including physical bodily harm to various inhabitants of the home. Physical ailments that appeared suddenly and without cause. Items in the home being thrown or moving around the house. Animals acting unusually to unseen stimuli. 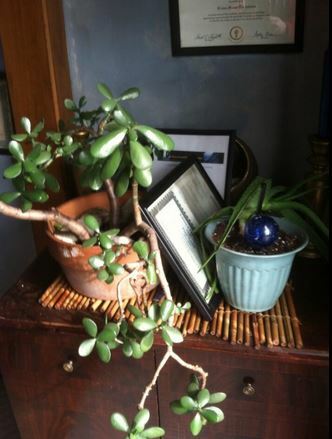 Drastic changes in personality to various inhabitants of the house. Harmful physical and emotional attacks from inhabitants of the house on others. Photos Courtesy of our private client. Verified for non-manipulation using photo analysis software. 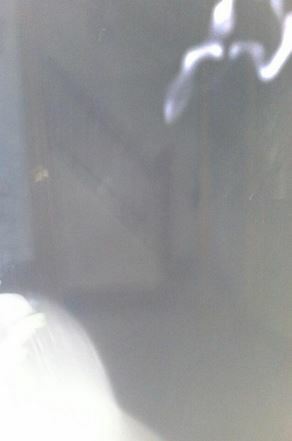 These photos include injuries, bruising, photo anomalies, possible orb like anomalies, vase that was reported to be thrown at our private client and broken, and a black mass. ﻿﻿This investigation was quite a bit different than any other we have encountered to date. This private client case was forwarded to ExPERT by a third party psychic out of Yonkers, NY, who contacted director Horton through Twitter. Director Horton spoke to the referrer both on the internet and by phone regarding the particulars of this private client case. 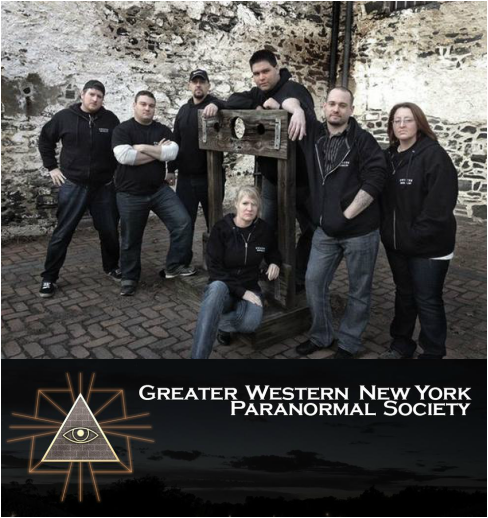 Director Horton was advised that there was a paranormal team, the Greater Western New York Paranormal Society (GWNYPS) based out of Buffalo, NY, that had tried to help the client previous to the involvement of ExPERT. The GWNYPS had experienced numerous events at their investigation of the private client's home, including a responsive ghost box session, and psychic experiences for their group psychic Ashley. They recorded their investigation of the client's home and posted a YouTube video. Stacey Horton, Founder of ExPERT- The entire case was unlike anything we have seen before. So many things occurred even before we took this case that I have no way to explain other than by what was going to happen. In September of 2014, I was contacted by email by Fr. Billy Clark in reference to offering us and our clients assistance in times of need. This I thought was very random and very odd since we had no inquiries out for such help at the time. Steve Kulls and I met with Fr. Billy for about an hour and a half to discuss diabolic forces that affect the world today. After talking, we invited Fr. Billy to be our team spiritual adviser which he accepted. In September of 2014, Steve's transmission blew on his Jeep. In the beginning of October, Steve and I who were both working for the same private investigation company, lost our jobs. Talk about being down and out. Then I receive a very urgent message from a third party psychic out of Yonkers, who told me that there was a woman in western New York who was being helped by the GWNYPS in regards to paranormal activity and they were needing assistance to deal with something diabolical and that we were the only group geared to help her. Steve and I met with the client in Buffalo, NY along with Ashley from the GWNYPS. We had a plan of attack mapped out. Prior to actually performing the deliverance and cleansing and directly following a conversation with the client, I saw the entity that was tormenting Tina in my own home. It tried to intimidate and impress fear on me. I wrapped myself in white light and wings and it disappeared. The same night Steve heard a very deep man like voice in the hall to our apartment building (we were the only ones home) say "Meow" and right afterwards, he ended up with scratches on his forearm. He yelled "Ow" and then showed them to me. My one cat was on the couch asleep and the other was in the bathroom. ​ The day of the investigation, I brought my car to the shop to get an oil change. My mechanic informs me that my strut is blown on my passenger side meaning it was driveable but will be bumpy. Two members of our team were unable to go last minute due to a family emergency. We drove through a snow storm to get to the client's home. When we were there and getting ready to meet up with the members of the GWNYPS, Ashley got two flat tires on the way to the case! Upon review, our DVR system which is brand new and has been put through several test runs did not record anything, my Nikon camera malfunctioned all night producing photos that were not usable, and Steve's computer crashed losing all the audio from the case. Coincidence? I will let you ponder that and make your own deduction. During the actual deliverance, Steve and I were in the client's bedroom performing the Rite when we hear the dogs downstairs going crazy and yelping. Steve stopped reading at this point and I urged him to continue going and that it was a distraction which it was. When we were finished, we walked into the hallway where Ashley and Mike (our Western NY ExPERT affiliate) were, and Ashley was beat red and very uncomfortable. She stated that she felt like someone just ran through her. We heard the client downstairs hacking and coughing, struggling to breathe. We all rushed down and she was crying because she was coughing and struggling so hard. Ashley held her hair and head while I held her feet, and Steve performed a prayer for her. She finally vomited a little and it all stopped as quickly as it started. Ashley looks down and points out that her stomach was completely flat!​ No one could believe it. Steve Kulls, Co-Founder/ Demonologist of ExPERT- I usually won't speak much of deliverances, but in this instance there are numerous lessons to be learned. First for those dabbling with the dark stuff...knock it off. It often brings bad tidings and what is often percieved as bad luck. For those more spiritual than religious, the dark stuff throws negative vibrations which is why very often we feel off balance, and throws our normally positive vibrations into chaos. But Jesus said, 'Do not hinder him, for there is no one who will perform a miracle in My name, and be able soon afterward to speak evil of Me.…"
""He who has believed and has been baptized shall be saved; but he who has disbelieved shall be condemned. "These signs will accompany those who have believed: in My name they will cast out demons, they will speak with new tongues; they will pick up serpents, and if they drink any deadly poison, it will not hurt them; they will lay hands on the sick, and they will recover." There are other Bibical refences as well. Those are but the most direct. So God through Jesus has given us these wonderful powers to use in His name. There's the key, "In His name." ​The other thing is you must be of strong faith and belief to condcut the Rite. It should not be done whimsically or for fun. People do not realize that demons are fallen angels and have similar powers, however use them for the purest form of evil. This particular case was ultimately one of the most underhandedl there was. When the Rite was performed there was not much resistance to it, but the ramp up, the deceiver was trying its best to deter, deflect and stay clear. Inevitably, the prayers before hand worked because the day of the Rite, Tina got some support from someone she never expected which I think elevated her spirit enough to see the Miracle in His name that was about to be performed. We do this not for our own ego, but or His glory. Which is why I rarely write about this. The effects before and after were felt, because when you go up against one of the usurpers, you come away with some of it on you. ​ A week or two later, I was afflicted with Bells Palsy, which luckily was cleared before Christmas, and has never returned. As Stacey said, alot of this coincidence, just didn't seem like coincidence. The greatest feeling was when Tina stood up and her abdominal distention was miracuously gone. It truly was a miracle, and someone went to shake my hand and thank me, but without hesitation, realizing I am just the conduit, replied, "Don't thank me, thank Him," and I pointed upward. I gave immediate thanks and it brought a tear to my eye. Through faith, and His Devine Acknowledgement, this poor woman who suffered all these malmadies was finally rid of them. The whole experience has renewed my faith even stronger than what it was. The client today is not having major health issues, relationships within the family have improved, and she is back to being functional on a daily basis including doing her hair and makeup again. She does not experience the negative activity in the home anymore.